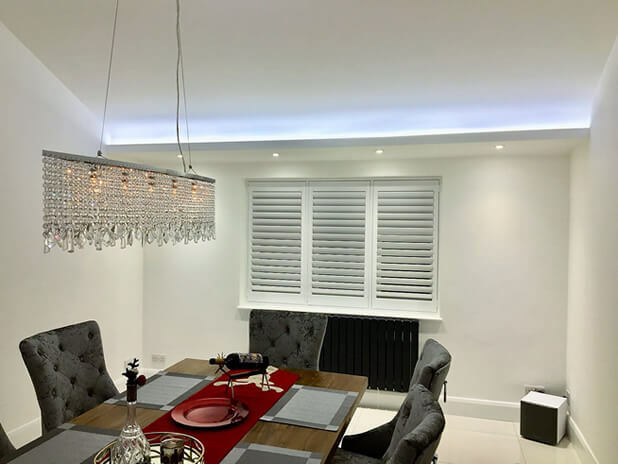 Tom was in one of our local areas of Chislehurst to install some of our shutters to this luxurious dining room. 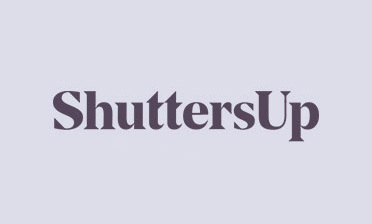 We love helping to complete interiors for people, as shutters often overlooked make for the ultimate finishing touch to newly renovated rooms! 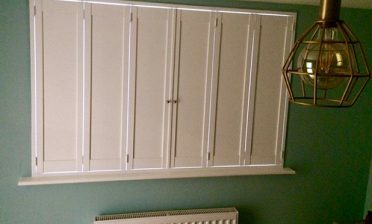 These shutters needed to be of a modern style and offer a practical solution to the dining room, offering not only a great look, but a practical solution for lighting and privacy. Compared to curtains our shutters will work for this dining room from breakfast through to dinner with the homeowner able to adjust and completely open or close as required. Created from our Antigua range, they are an affordable yet very stylish solution, designed by us in a full height style, large 76mm louvres with a hidden split and hidden tilt rods. By hiding these elements the shutters can remain practical, yet keep a minimal and modern look that the client wanted to achieve. 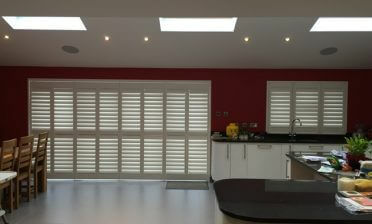 Our client Marion was very happy with the end result and we think the shutters really do this great room justice! Finished in a lovely pure white with matching hinges, the shutters fit seamlessly with the dining area and look great with the unique lighting above and black radiator below.